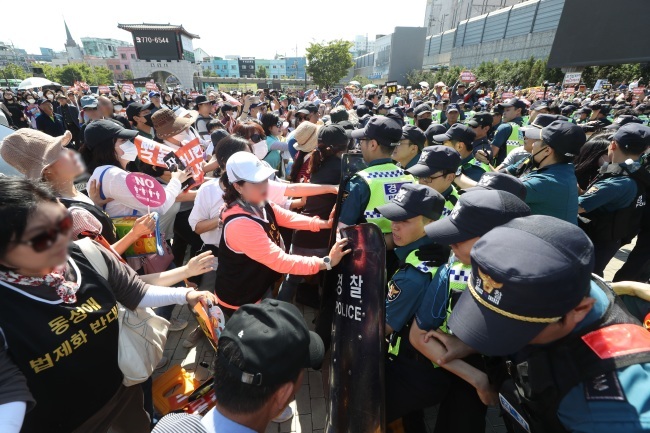 The first queer festival held in the South Korean port city of Incheon was severely delayed throughout Saturday, as some 1,000 Christians staged an anti-gay protests on the scene, which led to physical attacks and verbal abuse against LGBT individuals. In spite of the violent clashes and subsequent delays, the participants of the festival carried on with the event. While many planned events were canceled, the LGBT community persisted with and completed the queer parade, the last program of the festival, at about 9 p.m. -- much later than the schedule they initially planned. When the LGBT individuals tried to start their parade, the protesters blocked their way by lying down on the ground. Many of them swore at the pride participants. 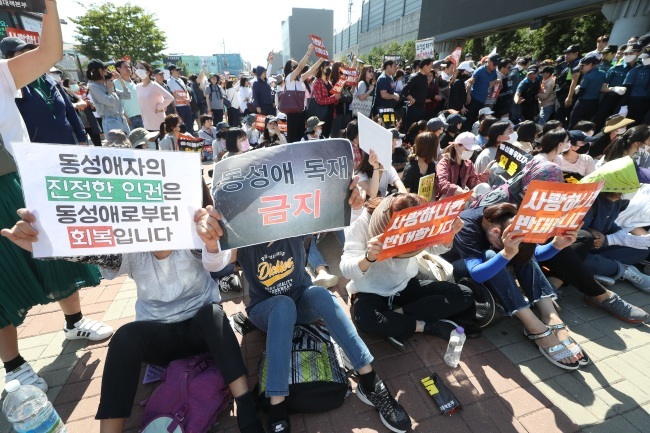 Some demanded they “leave Incheon for good” and “stop wasting tax money on AIDS treatment,” among others. 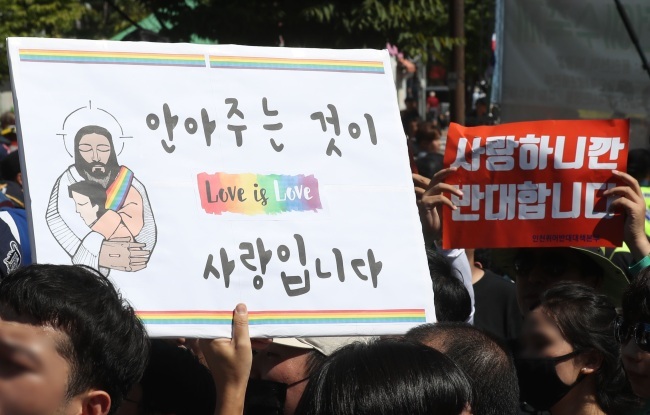 They also held signs that read, "We protest homosexuality because we love (humanity)."